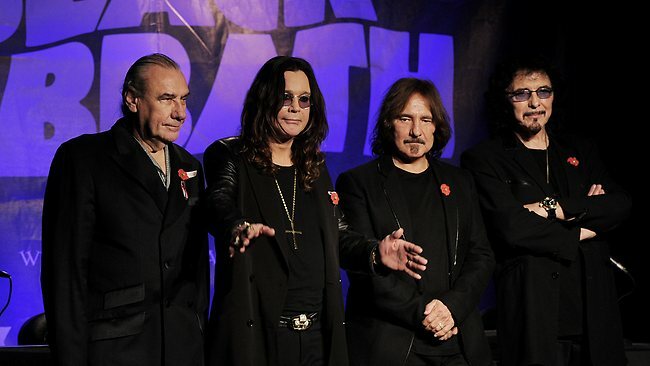 Black Sabbath is back. Well, they never left as they’ve done all sorts of albums with all manner of lineup changes over the years. But the original lineup is back… sort of. Back in November 2011, the band got together with producer Rick Rubin at a live press conference and announced all four original members were reuniting for a new album and tour dates. Since then, contracts with Bill Ward, the drummer, couldn’t be worked out. So he is not a part of this original lineup reunion. Sad for those of us who wanted one last hurrah from all of the original members of the legendary metal masters. The new single dropped a few weeks ago and is called “God Is Dead?” Give it a listen below. I really like it. 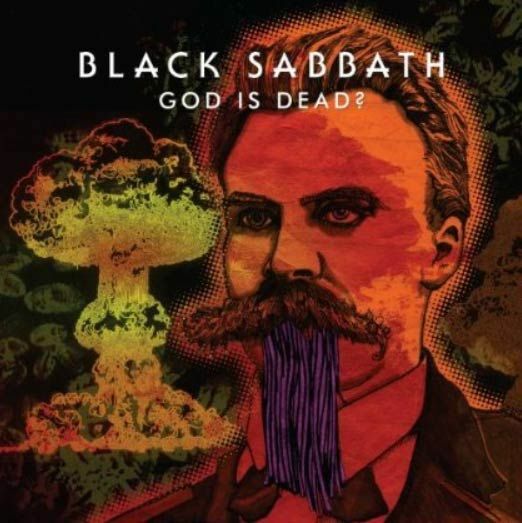 It has a nice throwback to the “Sabotage” and “Sabbath Bloody Sabbath” albums. From November 2011 to last month, they completed an album. But not without crisis and drama. Tony battled cancer, Ozzy jumped off the alcohol and drugs wagon and of course the entire Bill Ward saga. So will this be the final chapter for the band? It might very well be. 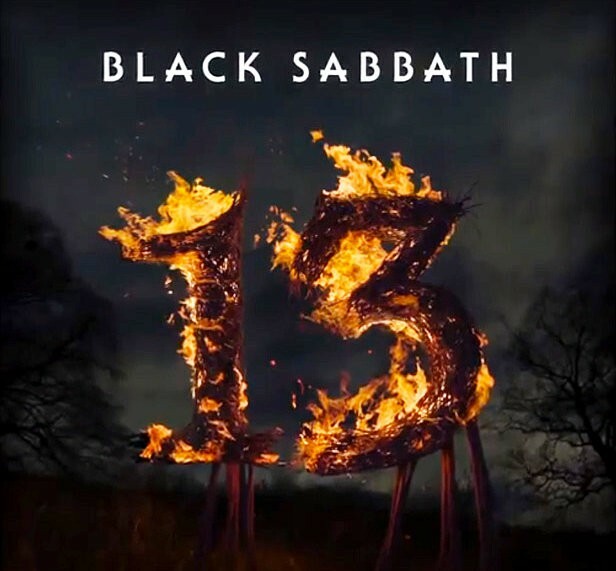 So if you are a Black Sabbath fan, pick up the new album when it comes out on June 11, 2013. And since they are doing a few dates here in the US, it might be wise to catch them if you haven’t before [I finally saw them live – all original members – at Ozzfest in 2001]. Sad that contract dispute got in the way of Bill Ward returning. I dunno, if I was in his position I’d want to do it regardless of contract fuckery. It appears that depending which side of the argument you hear, depends on what answer you get. Bill Ward has been consistent about his claim of contact dispute. The Ozzy/Tony/Geezer side says Bill couldn’t play the songs. I know Bill has had health issues that have prevented him from playing in the past. Regardless, just sad it’s not the full original reunion. They are doing a Phoenix date. And WTF is up with there being no show any closer to Chicago than Indianapolis?!?! 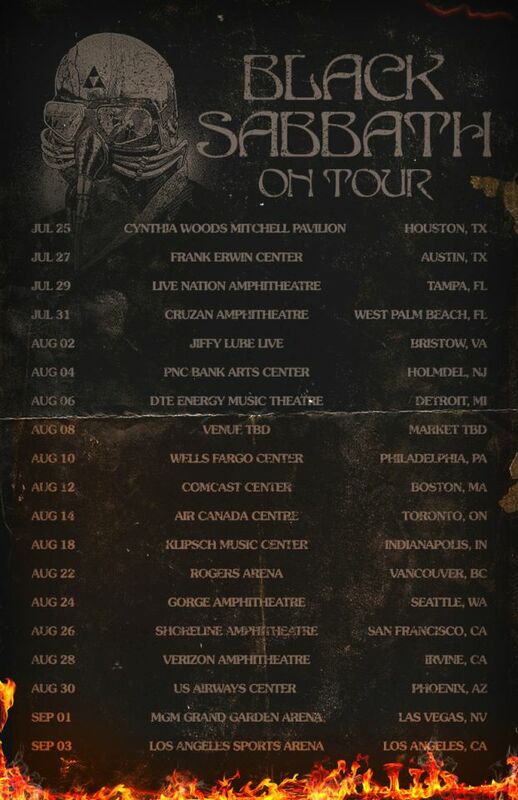 I know… odd that there’s no Chicago date. The TBA date on the above posted is in Connecticut. Which means that I can’t complain about there being no Utah date.